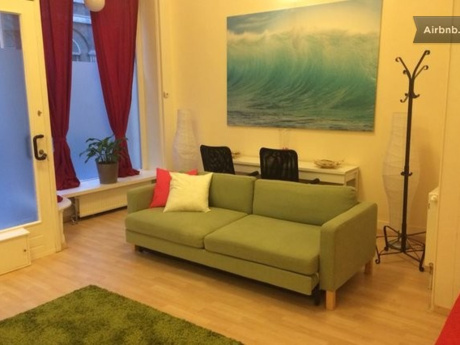 Our appartement is situated in the heart of Brussels. Only a ten minute walk from "la Grande Place"! The metrostation (our subway) is next to our building(but luckily you don't hear a thing of it in the appartement). Three stops or 5 minutes further you are in the central station of Brussels: you can catch a train to everywhere you want in Belgium! Brussels Airport is easily reached by subway and train in only half an hour. In the South Station, where you can get by tram in 5 minutes, you can catch the Thalys (Paris only 1,5 hours, Amsterdam 1,5 hours) or Eurostar (to London, only 1,5 hours). The most wonderful aspect of our place is that you are in the centre of Brussels but you don't hear a thing of the business of the city. 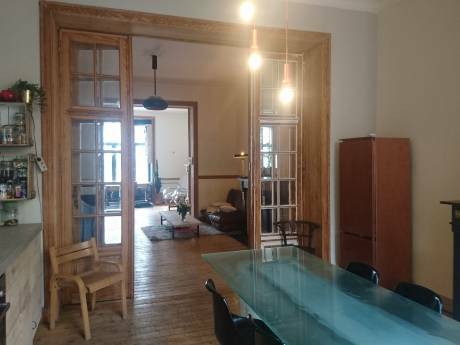 An oasis of peace and quiet and so near exciting spots, nice cheap and expensive restaurants, musea, beautiful architecture, romantic alleys... Everything Brussels has to offer is only a second away, but you can easily escape city life in our appartement. Our garden is situated in the south. When the sun shines you can sunbathe from morning till evening! The way our garden is situated you can easily sit outside from march till october on sunny days because of the microclimate there. 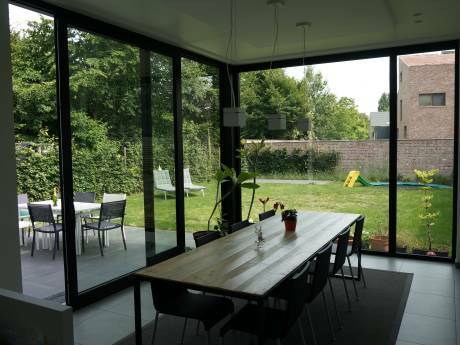 Inside we have 120 m2: a large living room and open kitchen. One toilet and one bathroom with bath and shower. Washing machine and dry cleaner. 3 large rooms. A terrace and a garden of 80m2 + a garden of 250m2 shared with the other habitants of the building (who never use the garden which means even more peace :)). A rented parking space nearby the appartment.